Sometimes we just can’t find that perfect gift wrap in the store. Which is hard to believe sometimes given the sheer volume of material out there during the holidays. Sometimes I am struck with a brilliant idea only to discover that what I need to complete my project doesn’t exist anywhere accessible. Once upon a time I might have thrown the idea to the wayside but now I create my own solutions. This latest project came about because I was at the craft store and could not for the life of me find a Christmas themed stencil. I am sure they exist online and perhaps even at other stores but I didn’t have the time to go shopping all around Kingdom Come just for a single stencil. So I decided to make what I had in mind instead. And I did it in under an hour. 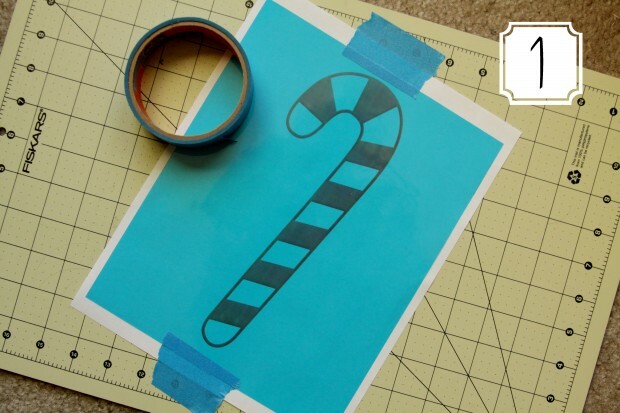 If you want to make custom gift wrap this year, or just add a touch of whimsy to your gift, stencils can be a big help in accomplishing your goal. And with blank stencil templates at your disposal anything is possible. 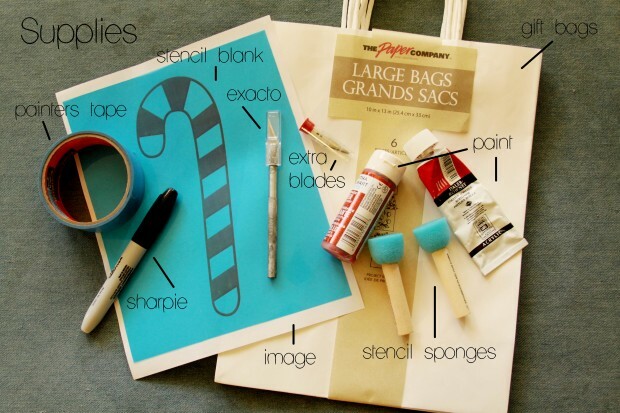 Follow these steps for creating your own Candy Cane printed gift bags, or create your very own design using these same steps. 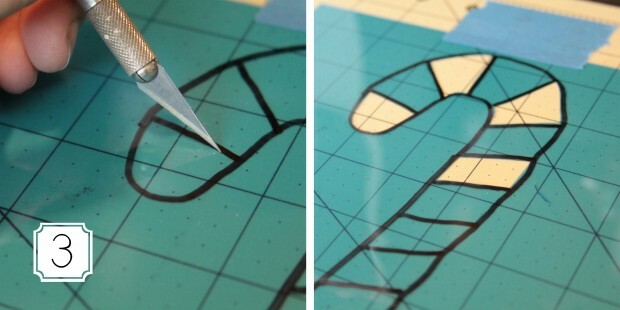 Center your image under the stencil template. 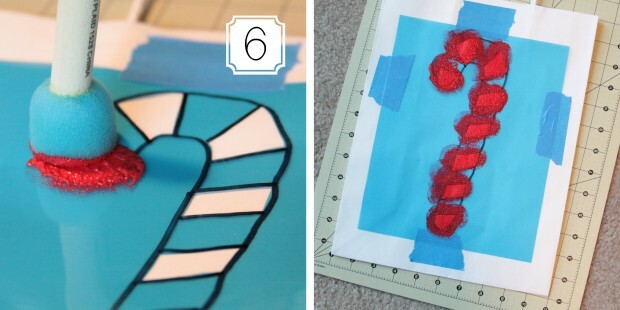 Tape both to the mat to keep it from moving while you trace it. Trace the image onto the stencil blank. Then remove the image and tape it onto your mat for the next step. With your Exacto begin removing part of the stencil. This is where a little planning comes in. Make sure you remove enough for the image to still translate. Be mindful of your negative space and don’t cut out too much or the same as not cutting out enough will happen; your image will not translate correctly. 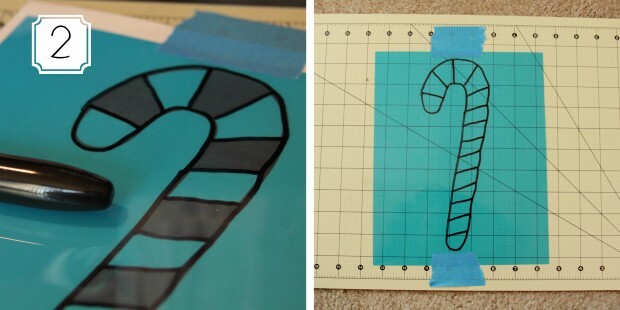 The candy cane is simple cause you can just cut out every other stripe and not worry about cutting out too much. 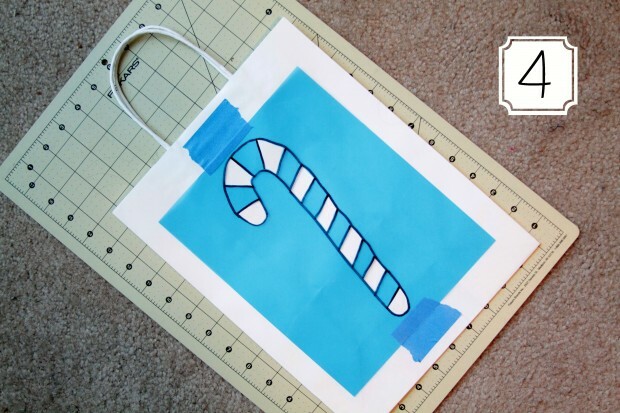 Once you’ve finished cutting out all your pieces, center the stencil over the bag. Tape it down with the painter’s tape. This will hold it in place while you paint. …and begin dabbing it onto the stencil. 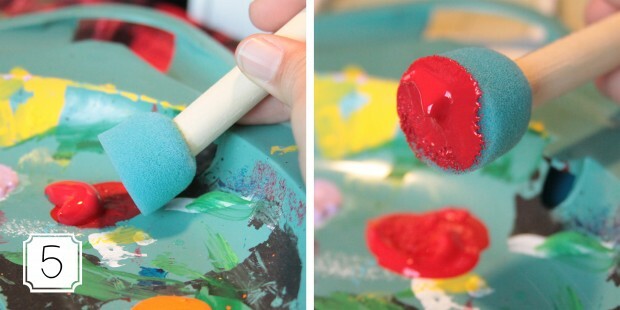 Cover the entire area with a single color or change it up by adding multiple colors. Once the paint dries a bit remove the stencil and let dry the rest of the way. Make sure you clean your stencil! Now you have a unique, handmade bag that brings warmth and mirth under a brightly colored tree. What are some items you’ve tried to find in craft stores but were unable to? How did you fix your problem?